Potomac Falls is an unincorporated census-designated place also located in Loudoun County. Potomac Falls lies along the Potomac River and is in the northernmost portion of Sterling with the ZIP code of 20165, bordering Maryland. The name for Potomac Falls came from a competition to name the second new Post Office in Sterling. 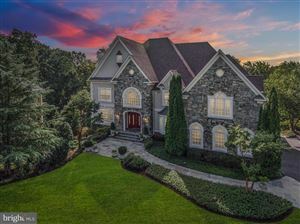 Alternately called Potomac Falls or Sterling, The village consists of the communities Glen Heather, Calvert’s Glen, Cascades, CountrySide, Lowes Island, Rivercrest, Potomac Hunt, Great Falls Forest and Great Falls Chase. (Great Falls Forest was first considered a part of Fairfax County, however, when an additional part of the neighborhood was added, it was switched to Loudoun County. Great Falls Chase, is also a new addition to what was previously known as Great Falls Forest.) Development of Potomac Falls began in the late 1980s, and is essentially complete today. Potomac Falls borders Great Falls and Fairfax County to the southeast and has several shopping areas, schools, and community centers. Potomac Falls is also home to three 18-hole golf courses including Trump National Golf Club and is home to the Potomac Falls High School Panthers.